・Very sharp directivity in a 181.5mm length body. ・We have evolved the CS-1 which is very popular in the market as its compactness and high quality performance. ・This renewal short shot gun mic ' CS-1e ' is ideal for the camcorder mount and boom pole operations. 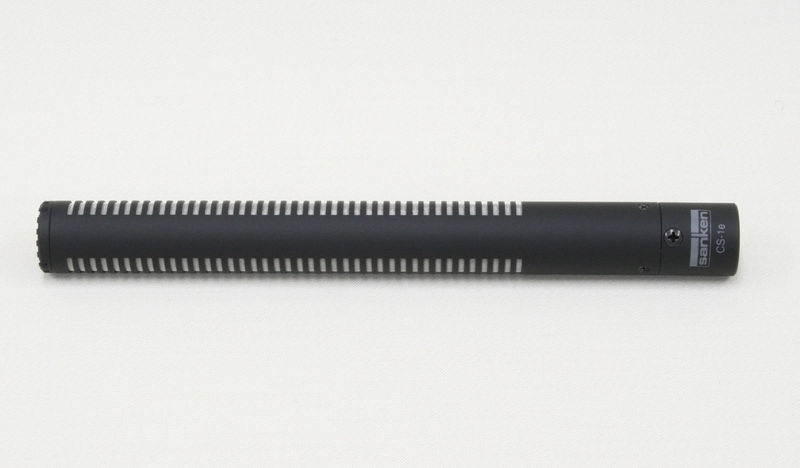 ・Though its total length is only 181.5mm, it has very sharp direction and makes longer reach recording possible. ・Only 80g weight makes easier for operators to work in the field. The CS-1e is Sanken’s solution to a large demand from many engineers in the video and film Industries. This shotgun mic is easily hidden from the camera’s view because of its short length. Although only 181.5mm, the CS-1e has very sharp directivity and provides excellent sound in a wide variety of professional engineering applications. The CS-1e is very effective on boom poles, and also works extremely well with various kinds of camera mounts for one-man ENG operations. Affordably priced, the CS-1e is ideal for today’s highly mobile operators.